**Please note that all By Parameters (All-Sky) searches are now queue-scheduled to enable more complex searches and larger search results. This search option also requires a token to be entered at the bottom of the By Parameters Form. This page allows you to search NED's master list of extragalactic astronomical objects by object name. NED's name interpreter recognizes most of the well-known prefixed names used in the literature (e.g. NGC 224, IRAS F00400+4059, 1ES 0039+409). NED Standard Names has more information on NED's naming conventions. Type the name of the object you wish to search for in the "Object name:" box. The NED interface allows substantial freedom in formats and conventions for names, so type the name in any format you wish. When you submit your search, NED's name interpreter will attempt to translate your input into a name that NED recognizes. If it cannot interpret the name you typed, a page will appear with a message explaining the most likely problem with your input. These usually fall into three categories. In all three cases, click your browser's "Back" button to go back to the search page, and enter another object name. (1) If the name you entered has an acceptable catalog name, but the object number within the catalog is not within the range of numbers for that catalog, the page will tell you this. An example is "M111"; there are only 110 entries in the Messier catalog. (2) If the catalog name itself is ambiguous, the page will list the acceptable possibilities. An example is "A123"; this could be "Abell 123", "Arakelian 123", "Arp 123", "Asiago1 023", or "[RC1] A1203". (3) If the name interpreter does not recognize the catalog, the page will sometimes suggest alternative catalogs, sometimes not. In either case, click the "Back" button and try another name. "Extended Name Search?" (default is "No"). If "Yes", your search will return all objects beginning with the name you entered. For example, "ABELL 400" will return not only "ABELL 0400", but also "ABELL 0400:[D80] 01", "ABELL 0400:[D80] 02", and so forth. Similarly, a search for "Arp 294" will return not only "ARP 294", but "ARP 294 NED01" and "ARP 294 NED02". NED Standard Names has more details on these extensions. or that defined by the Virgo infall, the Great Attractor, and the Shapley supercluster (see Mould et al. ApJ 529, 786, 2000 for details of the three latter models). Choose how many (if any) "postage stamp" DSS image cutouts you wish to have displayed on the results page (the default is to display up to five images). The image cutouts are created in real time from a copy of the Digitized Sky Survey. These images typically take a few seconds each to cut out and transmit to you, so you may wish to turn them off if you know that your search will return more than a just a few objects. When a search has completed successfully, the interface opens a new page with the object's name, position, redshift if available; as well as counts of the bibliographic, notes, positional, photometric, and redshift references available in NED for the object. The new page also gives you options for displaying more data for the object, for searching the literature for references to the object, for displaying images of the object, for searching for the object in other databases, for changing the cosmology input parameters, etc. Another help page accessible from the results page has a full explanation of the results. If you asked for an extended name search, the search will return all of the objects in NED beginning with the name you entered. For example, an extended name search for "NGC 4157" will return three objects: NGC 4157 itself, and two supernovae. A summary of the data for all of the objects is included in the search output. Go to Name Search Input Page. Return to beginning of this help page for information on the various search types that NED currently allows. This page allows you to search NED's master list of extragalactic astronomical objects for entries near a named object. NED's name interpreter recognizes most of the well-known prefixed names used in the literature (e.g. NGC 224, IRAS F00400+4059, 1ES 0039+409). NED Standard Names has more information on NED's naming conventions. Choose a "Search Radius" (default is 1.0 arcminutes). You may choose any radius for your search up to 300 arcminutes. Be aware that some parts of the sky are very densely populated with objects so that a search with a large radius will take a considerable amount of time. In addition, NED will return only 50,000 objects with a Near Object Name search. name prefix (see Notes on Excluding Objects Using Name Prefixes for more information on using the name prefix constraint). The default is to have no constraints. You may also constrain your search by redshift, object type (see Notes on Using Object Type Constraints for more information on object type constraints), and name prefix (see Notes on Excluding Objects Using Name Prefixes for more information on using the name prefix constraint). The default is to have no constraint of any kind. You may reset all of the fields on the input page to their default values, or any of the fields separately, using the several reset buttons. Go to Near Name Search Input Page. This window allows you to search NED's master list of astronomical objects for entries near a given position. NED's position interpreter recognizes most of the standard position formats used in the literature. You may specify the coordinate system you wish to use (equatorial, ecliptic, Galactic, or supergalactic), as well as any equinox between 1500.0 and 2500.0. The defaults are "equatorial" and "J2000.0". Type in the position around which you wish to search. There are separate input fields for RA (or Longitude), and for Dec (or Latitude). You must also specify a search radius which may be up to 300 arcminutes; the default is 2.0 arcmin. Please note that NED is very densely populated in some areas of the sky (e.g. 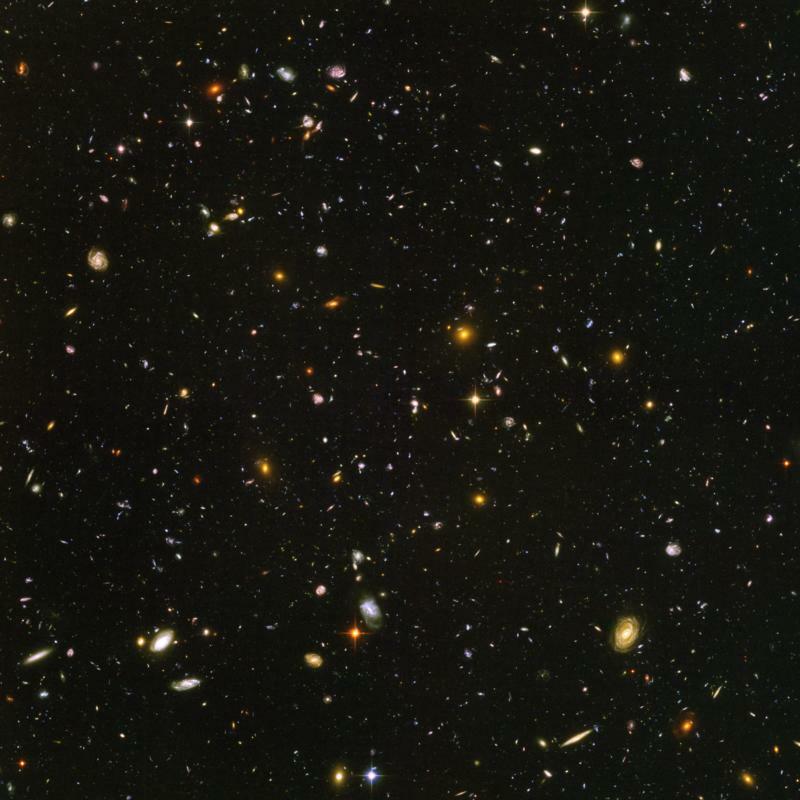 the Hubble Deep Field). Searches in these areas may take several minutes, so you may wish to use a smaller search radius. Positions may be specified in sexagesimal or decimal mode in most of the usual notations. NED's Input Position Interpreter has more information on how positions are interpreted and displayed in NED. Choose a "Search Radius" (default is 2.0 arcminutes). You may choose any radius for your search up to 300 arcminutes. Be aware that some parts of the sky are very densely populated with objects so that a search with a large radius will take a considerable amount of time. In addition, NED will return only 50,000 objects with a Near Position search. You may also constrain your search by redshift, object type, (see Notes on Using Object Type Constraints for more information on object type constraints), and name prefix (see Notes on Excluding Objects Using Name Prefixes for more information on using the name prefix constraint). The default is to have no constraint. Go to Near Position Search Input Page. Sources from Very Large Catalogs (VLCs) that have yet to be cross-matched with the main NED object directory may be toggled off or on by checking or unchecking the "Exclude Sources..." box to the right of the position and radius entry boxes. When a search has completed successfully, the interface delivers a table with object name, NED processing status, type, position, separation from requested position, reference code, and redshift if available; as well as counts of the bibliographic, notes, photometric, positional, redshift, diameter, images, and spectra references available in NED for each object. The number of NED-determined Associations with other objects is also given. Go to Near Position Search Input Page. This window allows searches for all objects whose positions are compatible with an IAU-style positional name you specify. We have implemented two interpreters for the IAU-style positional names: one uses a strict interpretation of the IAU conventions, while the other is more liberal in its assumptions concerning the rounding, truncating, etc. and so on, using standard sexagesimal notation for equatorial coordinates (the lower case "d" is a decimal integer between 0 and 9). NED assumes the name is in the equinox specified in the "Equinox" box on the previous line. NED has kept B1950.0 as the default equinox for IAU searches to remain consistent with IAU naming conventions. Click on the "Strict" or "Liberal" button to select the interpretation you desire for your search (the default is the strict interpretation; that is, a smaller field is searched). You may also constrain your search by redshift, object type (see Notes on Using Object Type Constraints for more information on object type constraints), and name prefix (see Notes on Excluding Objects Using Name Prefixes for more information on using the name prefix constraint). The default is to have no constraint. Go to IAU Format Search Input Page. by equatorial (J2000.0) or Galactic coordinates. Tutorial Examples at the top of the page will set the options to do various example searches for you. You may use these as guides for selecting your own sample from NED, or you may set the constraints yourself. Set your redshift constraints, if any, in z or km/sec. The default is to have no redshift constraint. Set your photometric constraints from among the available options. "Brighter Than" and "Fainter Than" require a number in the first box following the button; "Between" and "Not Between" require numbers in both boxes following the button. Next, choose the units you wish to search by (flux density or magnitude). Finally, choose the wavelength range -- or waveband in a particular wavelength range -- within which you wish to search NED. You may also constrain your search by object type (see Notes on Using Object Type Constraints for more information on object type constraints), name prefix (see Notes on Excluding Objects Using Name Prefixes for more information on using the name prefix constraint), and by sky area. The default is to have no constraint. Sky area constraints may be specified in either Equatorial or Galactic coordinates (or both) using the "Between" option, then entering your coordinate limits in the boxes. Declination and Galactic Latitude also offer a "Not Between" option which allows you to exclude a strip of Declination or Galactic Latitude from your search. Before you submit your search, you must enter a token at the bottom of the By Parameters (All-Sky) Form. This is a security measure to prevent misuse of this form by web-bots. Click any of the "Submit Query" buttons when you are ready to run your search. Beginning in September 2013, all By Parameters (All-Sky) searches will be submitted to the NED Backgrounding with Automated Scheduling and Queuing system (NBASQ). This system allows more complex, multi-parameter searches, or searches with large results sets to run to completion. Upon submitting a query, you will see the Job Status displayed. This contains a table with the Job Ticket, Status, Submission Time, Execution Time, Wait Time, and Run Time. A description of the query is given, which you should check to make sure the search parameters were correctly entered. The Job Status (Accepted, Queued, Running, or Complete) tells you how your query is progressing. The Job Status page will update at intervals of roughly every 10 seconds. This will be followed by the NBASQ Job Report, upon completion of the job. You will find the Result Size (bytes) and Filetype at the bottom of the Job Report Table. Results are retrieved by clicking the "Download Results" link, found directly below the Status table. Please make a note of the "Ticket" string in the Job Status or Job Report table, for later reference. You may exit your browser and retrieve the results of your query at a later time using this Ticket. Return to the By Parameters (All-Sky) Form, click the link to the Job Status Page near the bottom of that form, then enter the Ticket string. If your query does not successfully complete, and you have checked that you have entered the query correctly, you may contact NED to request a special token required for lengthy queries (those that require an hour or more to execute). Results are delivered in the format specified under the "Output Options" button on the By Parameters (All-Sky) Form, including various Text (ASCII), HTML, and XML VOTable options. Be warned that browser limitations may exist for particularly large HTML results files. In this case, the query should be submitted using another output format. Information listed for the objects meeting your search criteria includes their positions, a redshift if available, and one of their names in NED, as well as counts of the bibliographic, notes, positional, photometric, and redshift references available in NED for the object. For HTML output, the results page also gives you options for displaying more data for the object, for searching the literature for references to the object, for displaying images of the object, for searching for the object in other databases, for changing the cosmology input parameters, etc. A help page accessible from the results page has a full explanation of the results. Searches returning more than a few thousand objects will take several minutes to complete. While network and database loads will play a role in determining the apparent speed of the search, the largest single factor is the number of objects returned. If you know that your search will yield a large number of objects, it may be more convenient for you to split your search into smaller ones. Go to By Parameters Search Input Page. This window allows searches for all objects with specific classifications, types, or attributes, e.g. optical morphology or spectral classification. Currently, NED has classifications and attributes at all wavelengths from several large catalogs and hundreds of literature papers; a complete list of references is available here, as well as on the search input page. Not every object in these publications has a listed attribute, and not all attributes listed in the publications are included in NED's current release. You may optionally customize your output table. First, choose the type of output table you want (default is bar-delimited hypertext). You may choose bar, tab, or space delimited tables in plain (7-bit ASCII) text, or with hypertext links included. Note that while tab- and space-delimited tables may be displayed identically by your browser, they are stored differently as files. If you intend to save and work with the data in your files, please be aware of the difference. The hypertext-links display shows error or warning messages, and essential notes, as links; "hover" your cursor over the link to show the message or note. Plain ASCII text spells out the error/warning message, or note, in full in the table. Select the Standard Information you need. This includes data that appears on the main results page of a typical NED query for a single object. Detailed Information from three of NED's tables of detailed data is currently available -- classifications, photometry, and diameters. You may "Select All" (or clear the list with "Deselect All"), or choose the individual data types that you wish to have data for. To display your choices of detailed data, click the "NED Homogenized" boxes at the bottom of the "Classifications", "Photometry", or "Diameters" columns. You may also choose to display classification reference codes, published values of the photometry and its uncertainty, the major diameter uncertainties, the axis ratios, and the position angles. A clickable "Index" of type constraints will take you to any section. Once there, clicking on the "Show/Hide" links will show the additional options available in each sub-section. Most option boxes are followed by a superscripted "[i]nformation" link that will give a description of the particular classification or attribute. This includes a summary list of NED's available holdings, with references, for the particular classification. You will also be able to retrieve a complete list of objects with those classifications/attributes using this information link. Clicking the "Reset" button will clear all the selections. Click the "Submit Query" button to begin your search. When a search has completed successfully, the interface opens a new page with a list of objects with their names, positions, preferred object types, morphological and/or spectral types as available, redshifts if available (with optional redshift quality flags), and magnitudes and (optionally) filters. Also given are counts of the bibliographic, notes, positional, photometric, redshift, diameter, and association references available; and links to retrieve images, spectra, and classifications. An index number appears at the beginning and end of each line; clicking on this will retrieve NED's basic data for each object, as well as web links to many other online services that may have more information about the object. Go to the Classifications, Types, and Attributes Search Input Page. This window allows you to search the master list of astronomical objects by journal reference code (catalogs, books, and theses cannot yet be searched using this option). There is a limit of 50,000 objects that can be returned by this search; if NED has more than 50,000 objects from the reference, a small window appears with that information. If the reference has between 500 and 50,000 objects, another window appears telling you that the search will take several minutes. Reference codes are sensitive to upper and lower case characters, so they must be entered exactly for a match to occur. In the "19-digit reference code" box, type the full NED reference code for the journal article you wish to search. Reference Codes has detailed information on how references are coded in NED. You may reset all of the fields on the input page to their default values using either of the reset buttons. If there are no NED objects with the reference code you typed, a message to that effect appears. You may also do a search for objects in a journal article from the lists returned by searches for references or abstracts. In those cases, you will not need to type in the reference code as you must on this page. All objects mentioned in a given paper are not necessarily entered into NED's master list. For example, we do not enter objects identified in a paper as Galactic stars in the fields of radio sources, but we do enter the objects identified as extragalactic in the same paper. Also, NED usually does not carry references for objects mentioned "casually" within a paper. Go to By Reference Code Input Search Page. There are two ways to exclude objects from your searches based on their catalog name prefixes. Exclude objects with only one name prefix in NED. In the first case, any object carrying (for example) an "APMUKS" name prefix will not be returned by your search even if that object also carries other names in NED. In the second case, only those objects with just one name in NED will be excluded. In either case, highlight -- in the list of name prefixes -- those catalogs that you wish to exclude. The "Quick-Pick Deep Surveys" bar highlights several catalogs that include many objects with only one name in NED. Clicking this bar also chooses the "Exclude objects that have only one name" option since the "quick-pick" bar is only applicable with this particular exclude option. Large catalogs currently on the "Quick-Pick Deep Surveys" list are APMUKS, FIRST, LCRS, MAPS, MDS, NGPFG, NGP9, NVSS, SDSS, 2MASS, 2QZ, and 2dFGRS. These catalogs have very high object densities on the sky, and can fill your search lists with many faint objects in which you may have no interest. For example, excluding "APMUKS" from searches in the southern sky, or "NVSS" in the northern sky, will typically exclude most of the objects in a search field. The search pages also let you display a list of all of the name prefixes recognized by NED's name interpreter: Click on the View all object name prefixes currently in NED link to see the full list of names as well as the references from which those names were taken and, where available, the catalog tables from which the individual objects were taken. You may also open a window which allows you to retrieve this information for a single name prefix: Click on the Look up a single name prefix link to open that query window. Including "ANY" object type joins highlighted types with logical ORs. For example, you might want to find all objects that are galaxies OR infrared sources OR radio sources within 30 arcminutes of NGC 4151. Including "ALL" object types joins highlighted types with logical ANDs. This type of search will return, for example, only those objects within 30 arcminutes of NGC 4151 that are galaxies AND infrared sources AND radio sources. To insure this flexibility, object type constraints use the object types attached to each name rather than the Preferred Object Type. Thus, the name NGC 4151 carries the object type "Galaxy", but the NED object is also an infrared source (2MASX J12103265+3924207), a radio source (87GB 120800.7+394100), a visual source (UITBOC 1694), and an X-ray source (RX J1210.5+3924). Searching for any of these object types in the area around NGC 4151 will return NGC 4151 itself, even though its preferred object type is "Galaxy". You may also "Quick Pick" all of the "Classified Extragalactic Object Types". This allows you to search for only those objects with physical classifications (e.g. galaxies, galaxy clusters, QSOs) in NED; objects included in NED as sources from a wavelength-limited catalogue (e.g. radio sources, infrared sources, visible sources) will not be included in your search. Object names are separated into catalog identifier and member identifier. The name interpreter checks the catalog identifier to certify that it points uniquely to a catalog recognized by the database. The name interpreter then checks the member identifier to certify that it corresponds to the conventions of the catalog identified (e.g. is it a sequential number, or a combination of numbers and letters, etc? ), and that it does not exceed certain limits (e.g. the number of objects in catalog). The left hand column of the following table contains examples of input names recognized by the interpreter. The right hand column shows the NED standard formats. Names with square bracket prefixes (e.g. "[HB89]" and "[WB92]") usually come from papers published in journals, while those names with unbracketed prefixes (e.g. "NGC" and "IRAS") usually come from separately published catalogs. There are exceptions, however; examples include "[RC2]" and "87GB". Some names have combination prefixes (e.g. "87GB[BWE91]" and "ABELL 400:[D80]"). Objects in multiple systems without existing unique names are formed by the name of the system itself followed by "NEDnn", where "nn" is a decimal number starting with "01" (example: "ARP 294 NED01" and "ARP 294 NED02"). Similarly, objects found only in catalog notes are given names beginning with the name of the cataloged object followed by "NOTESnn" (example: "UGC 01562 NOTES01" and "UGC 01562 NOTES02"). Sources named in non-optical catalogs or lists, which are later found to be coincident with galaxies but which are not renamed, have "ID" appended to their original names (example: "IRAS 04356+3412 ID"). In this case, the Preferred Object Type is also changed to "Galaxy". Note that recognition by the interface of the nomenclature used for the object name does not guarantee that the name exists in the Database. This recognition signals that at present parts of the catalog are in the Database, and that the intent is to eventually include at least the extragalactic portion of that catalog in NED. All of the following examples are legal input. In some cases of ambiguous input, the output may not be what you intend, so the interpreter returns a warning message before returning its interpretation. If you use decimal hours or decimal degrees in the RA field, we suggest noting this explicitly as in "14.3256h" or "214.8840d". The examples below show the default behavior of the interpreter. 20:9 Same as "20 9"
Working with the editors of The Astrophysical Journal and The Astronomical Journal, with the SIMBAD group at Centre Donnees Stellaire in Strasbourg, and with the Astrophysics Data System group at the Harvard/Smithsonian Center for Astrophysics in Cambridge, Massachusetts; NED has developed a flexible coding method which concisely describes astronomical bibliographic references. This method of coding references has been adopted by all of these organizations. YYYY The four digits of the year of publication. VVVV Volume number of the journal, right-justified within the four-digit field. L Letters sections in various journals. p Pink pages in MNRAS. 0, a, b, ..., o the same volume of a journal (e.g. Sky and Telescope, Physics Today). same volume, where each issue starts with page one. beginning with q, extending through z.
PPPP First page number of the article, right-justified. authors are specified for a reference. 1986MNRAS.221p..41H Hawarden, T. et al. 1986, Monthly Notices of the Royal Astronomical Society, 221, 41p. 1988ApJ...324..767W Ward, M. et al. 1988, Astrophysical Journal, 324, 767. 1990A&A...228...42B Binggeli, B. et al. 1990, Astronomy and Astrophysics, 228, 42. 1992ApJ...385L..37K Knapen, J. et al. 1992, Astrophysical Journal (Letters), 385, L37. 1992MNRAS.257..677W Winkler, H. 1992, Monthly Notices of the Royal Astronomical Society, 257, 677. 1992PASJ...43L..57S Sofue, Y. and Wakamatsu, K.-I. 1992, Publications of the Astronomical Society of Japan, 43, L57. 1993IAUC.5731....1R Ripero, J. 1993, IAU Circular No. 5731. More information about the reference codes can be found in a paper by the NED group.